Reservoir Minerals Inc. reports that the Parlozi option agreement with Midlands Minerals Corporation(“Midlands”) has been terminated. The Parlozi exploration permit covers multiple occurrences of historic silver-lead-zinc mining in the Kosmaj-Babe area of the Sumadija mining district in central Serbia. The mineralization in the permit area includes silver-bearing vein and replacement-type lead-zinc sulphides hosted by carbonate sedimentary rocks and associated with intrusive Neogene quartz latite dykes and volcanic breccias. This type of mineralization has long supported lead-zinc-silver mining operations in the Trepca lead-zinc-silver mining district (production from the main Stari Trg mine 1931-1998 of 34.35 million tonnes (Mt) at average grades of 6.0% lead, 4.0% zinc, 75 grams per tonne (g/t) silver; (Mineral Deposits of Serbia, Ore Deposit Database, Ministry of Mining and Energy, 2002) and other mines in the region. 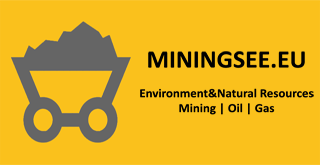 The exploration permit has an area of 91 square kilometres, which will be reduced by 25%, in accordance with the Serbian Mining Law, to approximately 67 square kilometres on renewal of the permit in June 2015. The Parlozi area has a long history of silver-lead(-zinc) mining and exploration as evidenced by the extensive slag heaps and numerous ancient pits, the oldest of which date back to the Roman era. Systematic mineral exploration was undertaken in the permit area during the 1970s and 1980s by state-controlled companies of the former Yugoslavia, and included 28 drill holes totalling 15,105 metres, exploration adits, airborne and ground geophysical surveys, and detailed geological and mineralogical studies. The Parlozi (also known as Kosmaj-Babé) deposit in the south of the permit area is described in Mineral Deposits of Serbia, Ore Deposit Database (Ministry of Mining and Energy, 2002) with a historical resource of 6.5 Mt at average grades of 4.1% lead, 2.1% zinc, 0.3% copper and 130 g/t silver (Serbian Geo-Institute, 1986). The historical resources were calculated according to the Yugoslav resource criteria (similar to the Soviet classification) from 11 drill holes along a 700 metre strike length. These historical resources are not compliant with National Instrument 43-101 guidelines and should not be relied on, but the Company considers that they are relevant to the assessment of the Parlozi Project. Reservoir undertook geological mapping and geochemical sampling, drilled a 600.0 metre validation hole, and compiled and modeled all the historical data on the Parlozi prospect. The results of this work are summarized in a 43-101 Independent Technical Report on the Parlozi Property, Serbia (May 21, 2011). This report is available on SEDAR (www.sedar.com). Under the terms of the option agreement with Midlands Minerals (Company News Release April 7th, 2014), a comprehensive exploration program was initiated on the Parlozi and Plandiste prospects in the southern sector of the permit area, and included detailed geological and structural mapping, underground mapping and sampling of the re-opened adit at Plandiste, ground magnetometry, resistivity and gravimetry geophysics, and 1,714.4 metres core drilling at the Parlozi (1009.8 metres in 3 holes, including 124.8 metres re-drilled due to poor core recovery) and Plandiste (704.6 metres in 3 holes) prospects. Total expenditures on this exploration campaign amounted to C$740,000.